John was a member of the Aston Villa Youth Academy, before joining Cambridge United as a trainee in 2002. He was awarded a contract after his apprenticeship, and scored in his debut in April 2003. 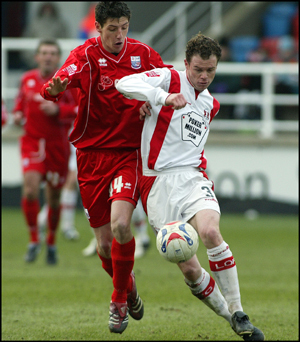 In November 2004, he scored a hat-trick against Rushden & Diamonds in our 1-3 defeat at the Abbey Stadium. He went out on loan to Aldershot Town in November 2005 before being recalled. John arrived at Nene Park on loan from Cambridge United on 6 January 2006, before signing a permanent deal until the end of the season just three days later. He made his debut against Peterborough United on 7 January, but was knocked unconscious after coming on as a substitute resulting in him having to miss a number of games. John was offered a contract at the end of the season, but declined and joined Grays Athletic. 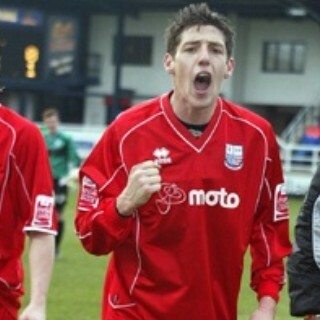 During his stay there, he went on loan to Braintree Town and Bishops Stortford before being released in May 2007. He signed for Kings Lynn of the Conference North the following season but left by mutual consent on 8 January 2009 and joined Corby Town of the BGB Southern League Premier Division, helping them to promotion to the Conference North. He left the club in May 2012. No record of his involvement with the game has been found between 2013 and 2018.